Mark C. Crowley is the author of the “Lead From The Heart: Transformational Leadership For The 21st Century. Mark spent 25 years in the banking and financial services industry; his most recent role was Senior Vice President and National Sales Manager at one of the nation’s largest financial institutions – where he was named “Leader of the Year.” Mark’s ambition is to fundamentally change how we lead people in the American workplace. Proving that traditional leadership practices are failing, we know today that a stunning 53% of all US workers hate their jobs – and only 3 in 10 admit to being fully engaged at work. In Lead From The Heart, Mark presents irrefutable evidence that the solution leaders need in order to fully re-inspire their workforces lies in the last place traditional business would seek to find it: the human heart. I’m really good at taking ideas from many seemingly unconnected disciplines and combining them to make compelling arguments. While writing my book on leadership, for example, I reached out to a world-class cardiologist. In a moment that profoundly changed my life, she told me that medical science had just begun to reject its 300-year-old belief that the heart was a just blood pump. My thesis heading into that meeting was that feelings and emotions play the greatest role in determining what human beings care about and commit themselves to in their lives. And so the research she shared not only confirmed that the heart is a thinking, feeling organ – it gave me the scientific backing to directly challenge our traditional beliefs on what constitutes highly effective leadership. I know with absolute certainty that my life’s purpose is to show the world a far more enlightened and sustainably better way of managing and leading people in the workplace. Every experience of my life to date has prepared me to be that voice of major cultural change. Writing my book. My mother died when I was very young, and from then on, my father raised me. This was a man who was both psychologically abusive and diabolically determined to destroy my self-confidence and sense of well-being. Really. Despite his dark influence, I managed to achieve a lot of success in my life. But when I sat down to produce a book, my mind had me quite convinced that I was not writer – an author. To get beyond that major hurdle, I had to do some very painful excavating. My book is a reminder to me of all I experienced growing up, and all I ultimately triumphed over. Being a path-cutter. Schopenhauer famously said that all new ideas, pass through three stages. “First it’s ridiculed, second, it is violently opposed, and third, it is accepted as being self-evident.” With respect to my work and thesis on leaderhsip, it's taken four years for the business world to arrive at stage three. I’m a big admirer of Sir Richard Branson for his leadership example, President Obama for his ability to keep going in the face of withering criticism, Deepak Chopra for what he’s taught me about mindfulness, Sir Van Morrison for his sublime music -- and all the people who saw seen my human potential and sought to grow and encourage it. 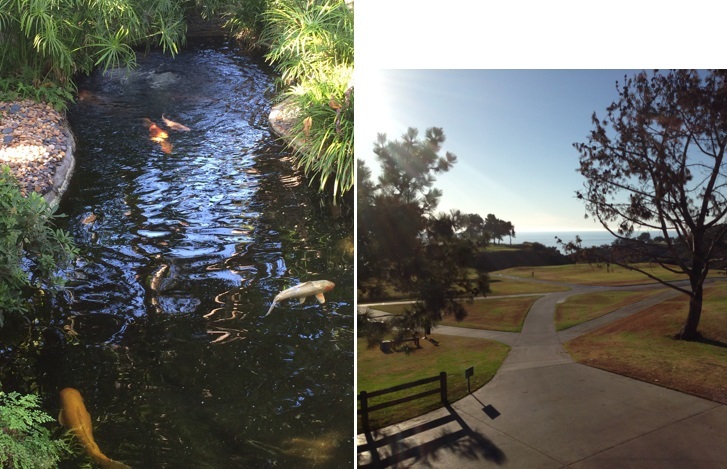 I’m always happy at the magnificent Torrey Pines golf course in La Jolla, California where I live. And the transcendent grounds of the Self-Realization Center in Encinitas (former home to Paramahansa Yogananda) is where I go for a spiritual boost. My studio. A Canadian company got their start making pool houses, but happened to come out with these really cool modular offices right before I started working on my book. My wife found it, had it delivered in pieces, hired contractors to build it and then designed the zen-like interior. I only have about 50 steps to take to go to work every morning and the space is fantastic. Every moment I can find, I’m reading!